I knew these Crunchy Southwest Ranch Lettuce Wraps were going to be a hit as soon as I saw the recipe on the Marzetti KitchensSMsite. The veggies are crunchy and colorful, and simply dressed in freshly squeezed lemon juice, which adds a bit of extra flavor and a lovely brightness. When wrapped up in a tender leaf of lettuce, these handheld salads are so much fun! A plate of these wraps had no trouble catching the eyes of my family as we sat down for a meal together. 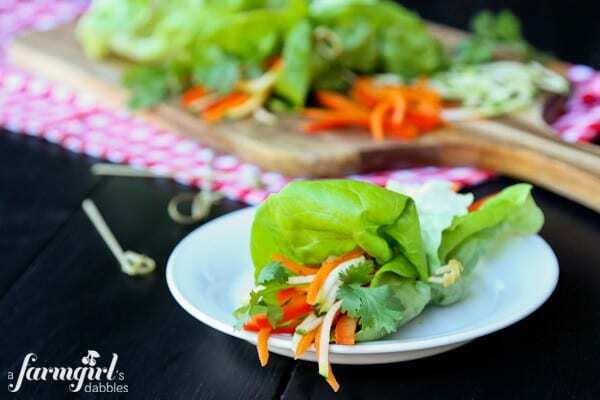 But there’s also a great tasting surprise hidden inside these lettuce wraps. It’s creamy and has an awesome peppery kick to it. And I’ve found it to be completely addictive. 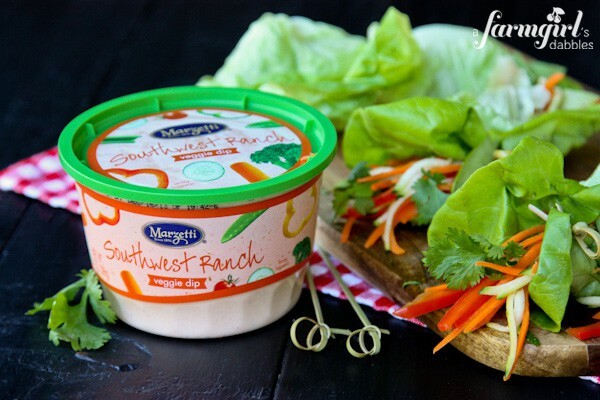 It’s Marzetti® Southwest Ranch Veggie Dip, my new quick and easy veggie dipping hero! We normally have at least one variety of Marzetti’s refrigerated salad dressings in our fridge. But I didn’t realize the extent of their offerings until they asked me to spend some time looking through the Marzetti Kitchens site. I found not only a larger line and range of products, but also great recipes using their products, all searchable by meal type and cuisine. I like how they showcase recipes in line with the changing seasons, with current fall features for apples, game day, and caramel. This kind of user-friendly navigation makes it especially easy to find meal inspiration for special events and holidays. The site also features a nice range of great kitchen tips that are both informative and helpful, providing even more inspiration and creativity for delicious meal planning. And when you find a few recipes to try, you can save them to your personal recipe box, so they’re always ready for you to grab. Marzetti Kitchens makes meal time inspiration tasty and easy. If you give these Crunchy Southwest Ranch Lettuce Wraps a try, please come back to let me know what you think. Also be sure to read past the recipe for the chance to win a $100 VISA gift card! In a medium sized mixing bowl, combine carrots, zucchini, red pepper, scallions, cilantro, and lemon juice. Toss to combine. Arrange lettuce leaves on a large tray. Spoon 1 tablespoon Marzetti Southwest Ranch Veggie Dip onto each lettuce leaf and spread it around to cover most of the leaf. Divide and spoon vegetable mixture onto lettuce leaf. Roll up each leaf and secure with a wooden skewer. This would also work well using endive leaves, for smaller appetizer sized portions. Adapted from Marzetti Crunchy Lettuce Wraps. Which Marzetti Kitchens recipe would you like to try? Share your favorite Marzetti Kitchens recipe in the comments section below and automatically be entered to win a $100 VISA gift card! For those with who do not have Twitter or blog, read the official rules to learn about an alternate form of entry. 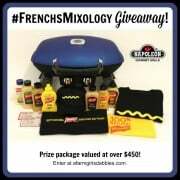 This giveaway is open to US Residents age 18 or older. Winners will be selected via random draw, and will be notified by e-mail. You will have 72 hours to get back to me; otherwise, a new winner will be selected. By posting a comment, entrant agrees that any or all of the submitted comment, whether randomly chosen as a Winner or not, may be reproduced on BlogHer’s website and social media profiles, and those websites and social media profiles of its licensees, including T. Marzetti Company, in connection with this Promotion without compensation at the sole discretion of representatives of BlogHer (and without further notice of any kind). This sweepstakes runs from 10/14/13-11/24/13. 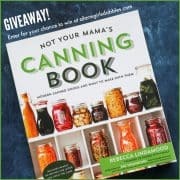 Be sure to visit the Marzetti Kitchens Brand Page on BlogHer.com where you can read other bloggers’ reviews and discover more chances to win! I’d like to try the Holiday Sausage Stuffing recipe. The flavors appeal to me. I want to try the Bistro Chicken Salad! I wanna try the apple cabbage slaw. I have to try the Apple Caramel Cheesecake Bars! I would like to try the Banana Caramel Cream Pudding Cups. Thank you! The creamy ravioli looks scrumptious!! id love to try the artichoke bruscetta! I’d like to try the Baked Acorn Squash Wedges. oh the BLT NOodle Toss looks really good and simple.i love their site got some many good recipes that are quick simple and look very yummy!! I want to try the Caramel Banana Tiramisu recipe. I would to make the Apple Tartlets! They look delicious and would be a great finger food for holiday parties! I like the apple chicken salad recipe, it’s a tasty way to stick to my diet. I want to try their apple carrot cake recipe. I would love to try the creamy ravioli recipe! I had lots of apples on my tree this year and want to try the Caramel apples cheesecake bars. The cheeseburger noodle casserole looks good! I’d like to try the Apple Caramel Cheesecake bars. Yum! I’ll try that recipe for sun-dried tomato and artichoke party cups. The favorite one I want to try is the apple turnover recipe. The Apple Caramel Cheesecake bars look delicious!! I want to try the Apple Carrot Cake. I want to try the Green Bean Casserole. It is different then the way I make it and looks good. I’d like to try the buffalo chicken wrap sandwiches. I’d like to try the Creamy Ranch Quiche recipe. I would love to try the Spinach Mushroom Omelet. Sounds delicious! id like to try the onion apple soup! I would like to try the Apple Cabbage Slaw Recipe. Berry Cream Cheese Coffee Cake sounds like something I would really love to try! The Apple Caramel Crumb Cake looks delicious! I’d love to try the Mediterranean Cobb Salad! Thanks for the great giveaway! I would like to try to make the Sassy Caramel Apple Dip. My family would love this! I really want to try the Quick Fix Garlic Toast Pizza. I would like to try the artichoke and ham bruschetta recipe. I’d like the apple turnover recipe. I would like to try the Apple Turnovers–a favorite snack and you can even pretend it is all good for you! I want to try the Apple Bacon Walnut Salad. The salted caramel apple dessert sounds awesome! I’d make the Apple Caramel Cheesecake Bars! 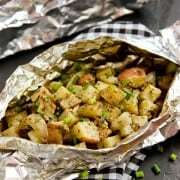 I would like to try the French Onion Oven Roasted Chicken Breasts! I’d love to try the tomato basil stuffed chicken breast. Yummy! The Asian Salad looks so good to me – thank you! I’d like to make the apple cabbage slaw recipe. Yummy! I would like to try the chicken enchiladas recipe. My family would love those! I’d like to try the Salted Caramel Apple Dessert. The buffalo chicken wanton cups sound fabulous! I’d like to try the Asian Shrimp With Mango Pepper Salad. I’d make the Fruit Pizza! I would like to try Apple Onion Pizza recipe. Ooooh the hummus fritters with ranch sauce looks awesome!! Thanks for sharing this site. There sooo many recipes I want to try on the site. I’d like to try the Buffalo Chicken Wonton Cups, they’d be perfect for game day. I’d love to make the Caramel Cashew Pie. It looks so delicious! Lettuce wraps are my thing to go to on a busy weekday. They are easy and super healthy! Everything looks great but if I had to choose I think it would be the Artichoke Bruschetta! would love to try the Asian Beef Salad. Can’t go wrong with lettuce wraps. 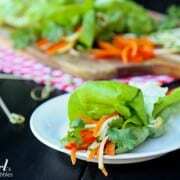 What gorgeous lettuce wraps! 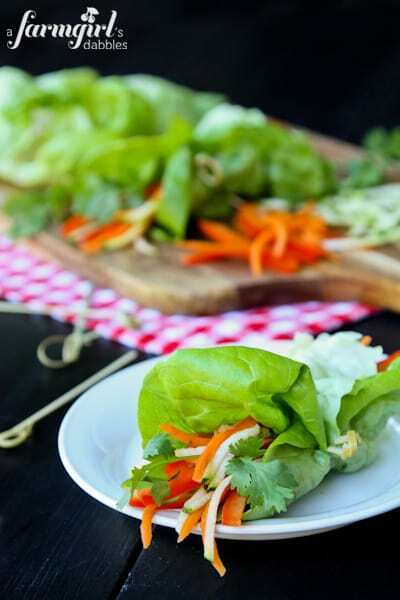 Lettuce wraps are my favorite – so light and hearty! And thanks for the awesome giveaway. I would love to try the asian beef salad. Bistro Chicken Salad – yum! I would love to try the creamy ranch potato soup. I’d like to try the Antipasto Salad. Thanks for the giveaway! Those Crunchy Southwest Ranch Lettuce Wraps would be great beside many of the Marzetti recipes. I think I’ll start with the Chicken and Noodle with Roasted Red Pepper Cream Sauce. As always, thanks for the inspiration Brenda! I think the Pan seared fish with blackberries looks good! I want to try making the Apple Onion Pizza. I want to try the Artichoke Bruschetta. YUM! I would love to try the ginger sesame noodles! I love asian food! I would like to try the Apple Caramel Crumb Cake recipe. I would like to try the Apple Onion Pizza recipe. Barbecue Pulled Pork Mini Sliders. Grilled vegetable wrap sandwiches look great! My favorite dessert in the world is carrot cake and the apple carrot cake recipe on the Marzetti web site sounds intriguing. The Baked French Toast would be a perfect start to a laz fall morning. i really wanna try: http://www.marzettikitchens.com/kitchens/recipes/detail/411/apple-caramel-cheesecake-bars . i’d try the apple cabbage slaw! I want to try the Asian Shrimp Salad. I want to try the Tuscan Bean Soup & Apple Chicken Salad. Delicious. Looks delicious! Apple Cabbage Slaw for sure! These look so yummy! I would love to have one for lunch today. I think my favorite recipe is probably German Chocolate Cake. I’m just in love with it- I can never get enough, and I’m not typically a cake person! I just love lettuce wraps! And these are so colorful. So pretty and colorful! Great lunch recipe!